Airbus will not only be a major sponsor at the upcoming 69th International Astronautical Congress (IAC) in Germany, but Airbus' CEO Tom Enders will address the audience with the 'Highlight Lecture'. Other Airbus presentations include the Moon Race, the Gateway a human base in lunar orbit, and Airbus' youth STEM program ... all this and much more will be available for the attendees. During the 69th International Astronautical Congress from October 2018, Airbus will present its latest innovations and major space projects. As one of the main sponsors of the world's largest space congress, Airbus will also actively participate with a large number of contributions to the conference program. 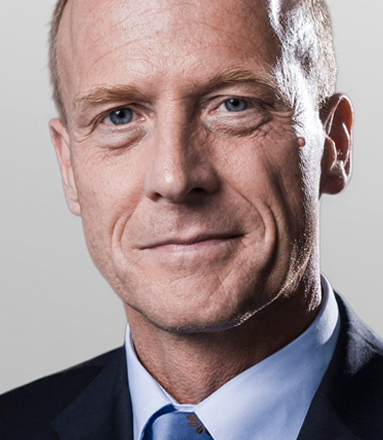 Airbus CEO Tom Enders will address the IAC audience with the so-called Highlight Lecture, looking at future space opportunities and endeavors, but also looking at what decisions need to be taken now in order to secure humanity’s future aspirations in space. At the Airbus stand (#5d70), the company will showcase several large-scale models of its current key missions, among them the new NASA spacecraft Orion, for which Airbus is building the service module on behalf of the European Space Agency (ESA). Also the Airbus ExoMars Rover and the AI-based astronaut assistant CIMON, which is currently waiting to be deployed on the ISS space station are on display, and visitors can immerse themselves in outer space through Virtual Reality. Monday will see the announcement of The Moon Race competition, a global initiative founded by Airbus and international partners, aiming to boost the movement around Moon exploration and enable the demonstration of key technologies required for a sustainable lunar exploration. On Wednesday, experts from Airbus will present a potential European industry contribution to a future human base in lunar orbit, called the Gateway. Thursday, October 4 is dedicated to the youth as the Airbus Foundation will present its new STEM program "Discovery Space" on and will hold a "Little Engineers" workshop with young students from Bremen. IAC delegates will also have the opportunity to visit the Airbus Space premises in Bremen. In addition, Airbus engineers will give more than 50 technical presentations during the specialist program, among them two special sessions addressing the new ISS payload hosting facility Bartolomeo, and giving an overview of the Columbus mission (now in its 10th year) and the upcoming Orion program.